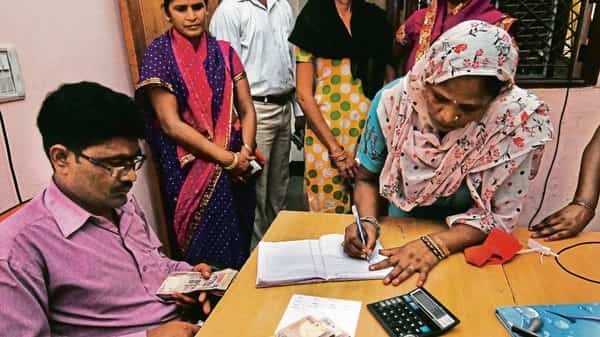 NEW DELHI: In India, where access to the formal banking system is restricted, microfinance emerged as an important and popular alternative in the 2000s. However, the 2010 microfinance crisis in Andhra Pradesh, which saw a spate of suicides among over-indebted clients, exposed the vulnerabilities in the microfinance model. A new study by Sougata Ray and others, published in the Economic and Political Weekly, explores why and how over-indebtedness continues to be a problem for microfinance borrowers in India, particularly in rural areas. The authors found that more than 56% of the households in rural areas and 35% in urban areas were over-indebted, on the basis of a survey of 280 rural and urban households from microfinance markets across 10 districts in Andhra Pradesh, Telangana, Odisha, Kerala and West Bengal in 2015-2016. A household was considered over-indebted based on indicators, such as the stock of outstanding debt, the ratio of debt to household assets, bankruptcy and subjective measures of hardships suffered by borrowers in repaying loans. The authors found that rural households and lower income households tend to be more over-indebted. They also show that age and financial literacy of the borrowers were important determinants of over-indebtedness. Households with a higher proportion of children and the elderly were more likely to be over-indebted. More importantly, the authors found the risk of over-indebtedness decreased when borrowers used the credit for entrepreneurial activity. The findings from the study imply that in addition to easy access to credit, financial literacy and vocational training are crucial for financial inclusion and, hence, poverty reduction. Finally, the authors highlight the importance of governments, microfinance institutions and social investors working together to build an enabling ecosystem for microfinance in India.